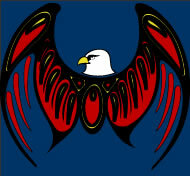 The Big Grassy First Nation is seeking a qualified individual to fill the Economic Development Position at Big Grassy. Maintains relationships and engages in joint projects or initiatives with other organizations engaged in economic development. Preparing concept presentations to Chief and Council from time to time to support local ventures. Manages all aspects of First Nation sponsored initiatives for Economic Development projects including finalizing work plans, training Plans, sourcing of funds and use of funds, preparing documents such as Band Council Resolution’s for Chief and Council approval of projects. A post secondary diploma in business administration or commerce, would be ideal. Comprehensive computer software knowledge including word processing, spreadsheet, power point presentations, and outlook email. The Economic Development Officer will report directly to the Band Manager. Please provide a cover letter, resume and references to the attention of Band Manager, Mr. Lynne Gavin or Human Resource Officer Paul Duguay. A full job description is available upon request.